UPDATE: Saw this article yesterday after I wrote my ‘Hawk’ post. It lends itself to my theory that Israel will bet the Iranian people will rise up after a devastating conventional attack on their country’s nuclear sites (and air defenses) and see that they have a chance to stop the theocracy that is keeping them in the Middle Ages. The smart Iranians will understand that by overthrowing the Mullahs, they save themselves from a retaliatory nuclear strike by the Israelis. Should Iran ever get and use a nuke on Israel, the game will have changed from two sides just trading vitriol via spokesperson to an all-out race to annihilate the other side. Here’s a scenario. Iran pops a nuke somewhere in Israel. It causes devastating destruction but, like the stick poked in the bee hive, doesn’t kill all the bees—it just releases a torrent of vengeful stings. Since Israel probably has enough nukes to evaporate Iran, they do. Now the rest of the Islamic world is out for blood but the only Islamic country with nukes is Pakistan. Since Pakistan is not really the West’s ally (they hid Bin Laden for God’s sake), they decide to slip one or more of their nukes to a terrorist group willing to pull off the ultimate suicide bombing. Chances are the group can’t get the nuke into the US so they pick the best US target outside our country like a major military installation. You can see how this will get very bad very quickly. Unless we have some very good spies in the right places we won’t be able to stop Pakistan from passing off one of their nukes. Our only recourse might be a preemptive strike on them. Yep, it’s getting uglier. So this is why Iran can never have a nuke. Whatever it takes, whatever the cost and I’m pretty sure Netanyahu knows this. I am very disturbed by the division over striking Iran’s nuclear facilities now. I have to believe Obama is playing politics with our nation’s safety. Just another reason to get rid of him. When Iran creates a nuclear weapon, and they will if they are not stopped, the world will change in the blink of an eye. When they use it, and they will, the nuclear genie will be out of the bottle. The world’s fears, real and perceived will sweep around the globe like the nuclear fallout carried in the prevailing winds. There will be accusations from both the hawks and the doves on who’s responsible. The hawks will say we should have bombed the sob’s early on, the doves will say we didn’t ‘engage’ enough politically. The reality is Tel Aviv, or another Jewish city will be nuked and the Israeli’s will unleash a holy terror that will have us clinging to our children as we watch the Mideast turn into glass live on the news. Rewind the tape to July, 2012. Israel mount’s a massive conventional attack on Iran’s nuclear sites. To insure success, Iran’s air defense systems are destroyed prior to the bombers arriving. Iran retaliates by mining the Strait of Hormuz. They manage to lay a modicum of mines but make the big mistake of firing on one of our warship’s. If they do hit us and kill American’s we should go berserk. Two carrier task forces are in the area. We will lay waste to their navy which consists of 3 destroyers, 5 frigates, 3 corvettes and 25 submarines. The destroyers are over 50 years old and essentially mothballed. The frigates are over 25 years old but they have updated Chinese made anti-ship missiles. The corvettes are over 30 years old but similarly armed—one is in the Caspian Sea. Only three of the subs are attack type. The rest are mini’s. We could have the entire Iran Navy sunk in 48 hours. Iran’s air force, consisting of 500 total aircraft, features about 230 attack aircraft made up of aging American F-4’s, F-5’s and F-14’s, Russian Mig-29’s and French Mirage F1’s. Wikipedia says less than half of the F-14’s are in service. 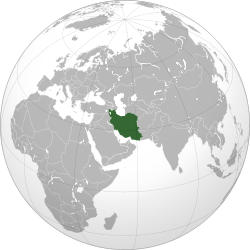 Chances are Iran can fly, at best, two-thirds of what they have. The Israeli’s fly F-15’s and F-16s. They have over 400 attack aircraft and virtually all are air ready. Couple that with superior weaponry, avionics and training and the Israeli’s will own the sky. This attack should not just destroy Iran’s capability to make a nuke. This attack should eviscerate its air force and navy. Iran’s army is reported at 100,000. Wikipedia reports that only about 5,000 are the highly trained, elite fighters known as the Quds force. The rest are made up of the Revolutionary Guard and paramilitary volunteer groups in decentralized corps spread throughout the country. Israel’s air force and army could handle anything Iran might be so foolish to attempt on the ground. Stop the hand wringing and let’s get this over. I know I thought Iran’s nuclear program would have been destroyed long ago. The recent public chatter coming from Israel and the UK is a scary indicator as to what certainly has been going on in the shadows. I wouldn’t want to own property anywhere near any of these cities. 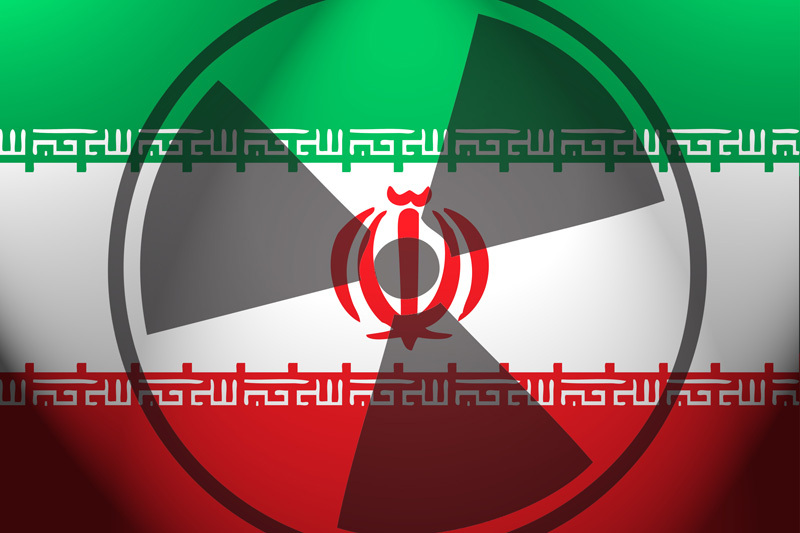 Iran has publicly stated that the reason for their nuclear program is to provide power for its country. They have repeated ad nauseum that they have no intention of using anything that may come out of that program for the creation of nuclear weapons. Iran has also repeatedly said their sole goal is to destroy Israel and then the United States. Now comes recent headlines that Israel is moving towards some sort of attack. This has got to be based on intelligence that the nutbag Muslims are really, really close to having a bomb. Our socialist president has publicly denounced any unilateral attack by Israel. Based on how he has treated Israel since he became president, I’ll bet he has even gone so far as to let them know we won’t assist in any way, and won’t come to their rescue after an attack. Another indication that Israel has probably told the US they will act alone if need be is the US’s scrambling to ratchet up sanctions against Iran. Based on an upcoming report from the International Atomic Energy Agency (IAEA) I’ll bet the US is plenty nervous the news will give Israel justification for an attack. Reports of pressure from the State department to the UN indicate a real sense of urgency. I would hope Israeli Prime Minister Netanyahu realizes Israel is now solely responsible for its own security and must do whatever it sees fit for the survival of her people. If that means turning Iran into glass I am all for it! I hope it causes the rest of the Muslims in the world to get on their high horse so we can turn their respective countries into glass. Muslims are not capable of living in the 21st century with the rest of the world. Sorry boys, time to go. UPDATE: It seems the plot is thickening regarding the possibility of a Palestinian/Mossad collusion in the assassination of Mahmoud al-Mabhouh. The recent revelations surrounding the murder of Hamas commander Mahmoud al-Mabhouh in Dubai in January have all the makings of a great Hollywood screenplay. Dubai officials are nearly “100% certain” that the Mossad, Israel’s super secret spy agency was responsible. Security cameras in the Dubai hotel where al-Mabhouh was staying clearly show upwards to 11 individuals in the right place at the right time to have pulled off the assassination. The uproar now is the fact the 11 all held forged passports of real citizens. Six were from Britain, three from Ireland and one each from France and Germany. The nasty business of political assassination has to be the pinnacle of the spy biz. 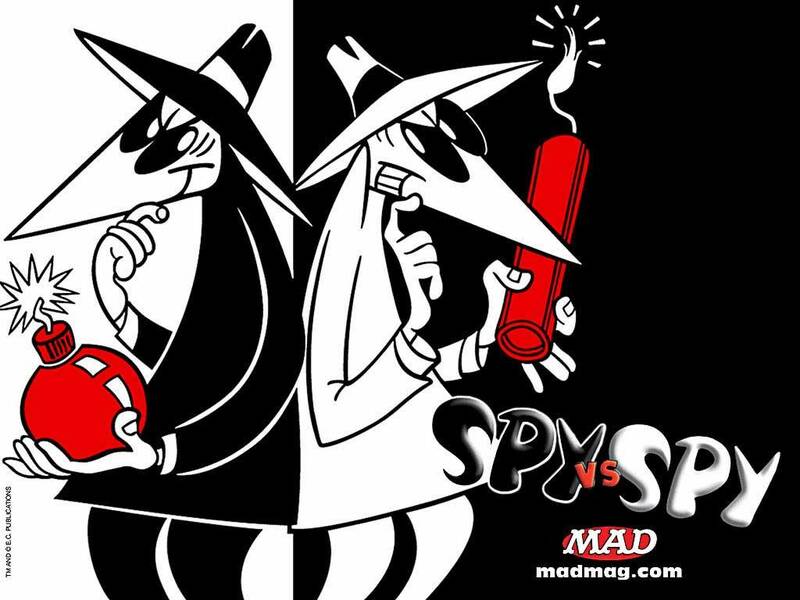 Ninety-nine percent of any spy organization is made of technicians, analysts, bureaucrats and bean counters. There just aren’t that many professional killers out there. Or so I thought. This revelation that eleven individuals carried out the deed is stunning—and there may be more directly involved. Recent news reports are expanding the number involved to as many as 18. Having 18 people directly involved in the killing of one person flies in the face of Hollywood’s depiction of spy assassination plots. We are so used to seeing a lone assassin, meticulously plotting, executing and then disappearing into the crowd. These 11, shown on security tapes at the Dubai hotel stalking their prey and at the airport escaping to who knows where, all acted in concert to pull off the diabolical deed. John LeCarre couldn’t write it any better. The Mosaad have a long history of political assassinations. Frankly it’s the best way to effect the most change. Target the head of the organization and you get the biggest bang for your buck. It’s way cheaper than going to war and, as grisly as it may sound, far more humane—only the bad guy gets killed. Mahmoud al-Mabhouh was reportedly in Dubai to pay for weapons undoubtedly destined for use against Israel. New reports say that two Palestinians were arrested in Jordon after leaving the United Arab Emirates shortly after the murder. Reports say at least one of the Palestinians had contact with the hit squad prior to the murder. That begs the question; was this a double-cross? We may never know and that’s what feeds the Mossad mystique.